Squamous cell carcinoma (SCC) is a type of skin cancer that appears on sun-damaged skin. It is found most commonly on areas where the skin is exposed to the sun, including the scalp, upper rim of the ear, the face, lips, and shoulders. Nearly 250,000 American are diagnosed with squamous cell carcinoma each year. It is important to detect and treat skin cancer early before it spreads to other tissues. 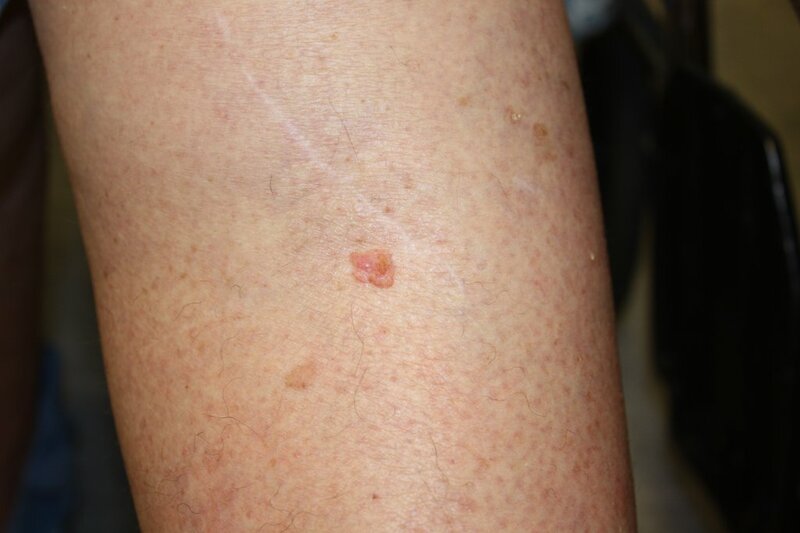 Squamous cell carcinoma (SCC) that has not spread to other tissues is sometimes referred to as squamous cell in situ (also called SCC in situ, or Bowen’s disease). The cure rate for SCC in situ is over 95%. The recommended treatment of squamous cell carcinoma depends on its type, location, risk, and the clinical judgment of your doctor. Simple excision. The SCC is removed with scalpel, and stitches are used close the wound. The tissue may be sent for further examination under a microscope to ensure the complete removal of abnormal cells. Mohs micrographic surgery. Mohs Surgery is a specialized surgery often recommended for higher risk tumors, such as those that return in the same place after being previously treated. In this procedure, the tumor is removed in stages. Each portion of tissue is examined under a microscope to make sure that cancerous cells have been removed while sparing as much normal skin as possible. Electrodesiccation and curettage. Curettage and cautery may be used to remove small, superficial SCCs. Cryosurgery. Cryotherapy may be used to freeze off small, superficial SCCs. 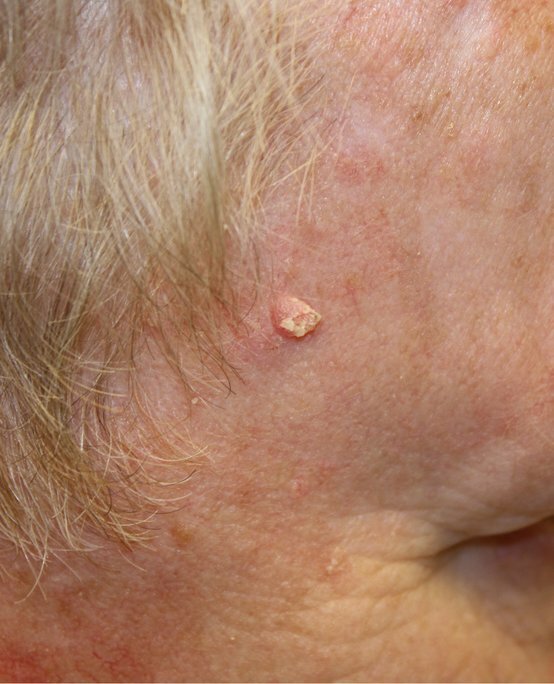 Once a person has developed an AK or squamous cell carcinoma, he or she is always at greater risk of developing another AK or SCC. After being diagnosed with SCC, a person should seek regular dermatology exams and perform monthly skin self exams. Images Courtesy of the National Cancer Institute (NCI) and Gerald Goldberg, M.D.